Nobo T-Card Size 2 Light Green (Pack of 100) 32938902 Pack of 1 T-shaped card - write title on tab, add extra information on the card. Clever folding package stores on your system for handy access. Colour Light Green. A50 Size 2 cards (48x85mm)Pack of 100 . Nobo T-Card Size 2 Light Blue (Pack of 100) 32938908 Pack of 1 T-shaped card - write title on tab, add extra information on the card. Clever folding package stores on your system for handy access. Colour Light Blue. A50 Size 2 cards (48x85mm)Pack of 100 . Nobo Yellow A50 Size 2 T-Cards (Pack of 100) 32938904 Pack of 1 T-shaped card - write title on tab, add extra information on the card. Clever folding package stores on your system for handy access. Colour Yellow. A50 Size 2 cards (48x85mm)Pack of 100. Nobo T-Card Size 3 Yellow (Pack of 100) 32938915 Pack of 1 T-shaped card - write title on tab, add extra information on the card. Clever folding package stores on your system for handy access. Colour Yellow. A80 Size 3 cards (80x120mm)Pack of 100 . Nobo T-Card Size 2 Pink (Pack of 100) 32938905 Pack of 1 T-shaped card - write title on tab, add extra information on the card. Clever folding package stores on your system for handy access. Pack of 100 A50 Size 2 cards (48x85mm). 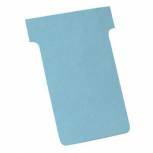 Nobo T-Card Size 3 Light Blue (Pack of 100) 32938919 Pack of 1 T-shaped card - write title on tab, add extra information on the card. Clever folding package stores on your system for handy access. Colour Light Blue. A80 Size 3 cards (80x120mm)Pack of 100 . 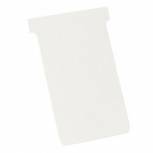 Nobo T-Card Size 2 White (Pack of 100) 32938900 Pack of 1 T-shaped card - write title on tab, add extra information on the card. Clever folding package stores on your system for handy access. Colour White. A50 Size 2 cards (48x85mm)Pack of 100 . Nobo T-Card Size 2 Red (Pack of 100) 32938906 Pack of 1 T-shaped card - write title on tab, add extra information on the card. Clever folding package stores on your system for handy access. Colour Red. A50 Size 2 cards (48x85mm)Pack of 100 . Nobo T-Card Size 3 White (Pack of 100) 32938911 Pack of 1 T-shaped card - write title on tab, add extra information on the card. Clever folding package stores on your system for handy access. Colour White. A80 Size 3 cards (80x120mm)Pack of 100. Nobo T-Card Size 3 Light Green (Pack of 100) 32938913 Pack of 1 T-shaped card - write title on tab, add extra information on the card. Clever folding package stores on your system for handy access. Colour Light Green. A80 Size 3 cards (80x120mm)Pack of 100. Nobo T-Card Size 3 Red (Pack of 100) 32938917 Pack of 1 T-shaped card - write title on tab, add extra information on the card. Clever folding package stores on your system for handy access. Colour Red. A80 Size 3 cards (80x120mm)Pack of 100 . Nobo T-Card Size 4 White (Pack of 100) 32938922 Pack of 1 T-shaped card - write title on tab, add extra information on the card. Clever folding package stores on your system for handy access. Colour White. A110 Size 4 cards (112x180mm) Pack of 100. Nobo T-Card Size 4 Light Green (Pack of 100) 32938924 Pack of 1 T-shaped card - write title on tab, add extra information on the card. Clever folding package stores on your system for handy access. Pack of 100 A110 Size 4 cards (48x85mm)Light green in colour. Nobo Yellow A110 Size 4 T-Cards (Pack of 100) 32938926 Pack of 1 T-shaped card - write title on tab, add extra information on the card. Clever folding package stores on your system for handy access. Colour Yellow. A110 Size 4 cards (48x85mm)Pack of 100. Nobo Pink A110 Size 4 T-Cards (Pack of 100) 32938927 Pack of 1 T-shaped card - write title on tab, add extra information on the card. Clever folding package stores on your system for handy access. 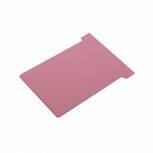 Pack of 100 A110 Size 4 cards (48x85mm)Pink. Nobo Red A110 Size 4 T-Cards (Pack of 100) 32938928 Pack of 1 T-shaped card - write title on tab, add extra information on the card. Clever folding package stores on your system for handy access. Pack of 100 A110 Size 4 cards (48x85mm)Red in colour. Nobo T-Card Size 3 Pink (Pack of 100) 32938916 Pack of 1 T-shaped card - write title on tab, add extra information on the card. Clever folding package stores on your system for handy access. Colour Pink. A80 Size 3 cards (80x120mm)Pack of 100 .